“fish tank” ~ is the subject matter of the post !! 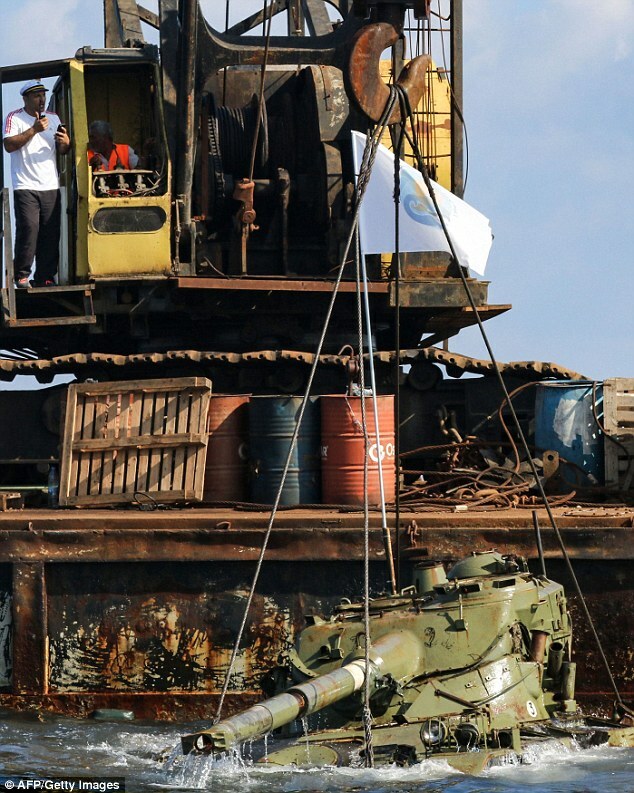 ~ can you imagine why this armoured vehicle is being lifted ? ~ only to be dropped in to .. …. ? ! In Sangam literature, “Neithal” is the landscape of Sea, shore and related things. Water is always an attraction – the sea, the river or the pond (the mightiest, the flowing one or the still water) – in whatever form have their own charm. Standing near a waterbody watching can be a great stress reliever. In ponds, the fishes will charm you. In Aquarium or in a small tank, you can observe them more – the vertebrates swinging their fins are unbridled attraction – whether they get too cramped and feel uneasy would never be known to us though. The guppy (Poecilia reticulata), also rainbow fish, is one of the world's most widely distributed tropical fish and also the popular aquarium fish. I have been fascinated by the guppies of Kairavini Pushkarini ~ the holy tank at Thiruvallikkeni. ……. Present day youth may not know that there existed open wells at every house, Corporation personnel would visit each house dispensing handful of guppies in to the well. Mediterranean Sea is a sea connected to the Atlantic Ocean, surrounded by the Mediterranean Basin and almost completely enclosed by land. Lebanon is a sovereign state in Western Asia, bordered by Syria, Israel, Cyprus across the Mediterranean Sea. Lebanon's location at the crossroads of the Mediterranean Basin and the Arabian hinterland facilitated its rich history and shaped a cultural identity of religious and ethnic diversity. The earliest evidence of civilization in Lebanon dates back more than seven thousand years, predating recorded history. The region eventually was ruled by the Ottoman Empire from 1516 to 1918. Following the collapse of the empire after World War I, the five provinces that constitute modern Lebanon came under the French Mandate of Lebanon. Foreign troops withdrew completely from Lebanon on 31 December 1946. Lebanon has been a member of the United Nations since its founding in 1945. Despite its small size, the country has developed a well-known culture and has been highly influential in the Arab world, powered by its large diaspora. This is no post on its history or legal system but on fish – fish tanks to be precise. It is not what you get to see at homes, shops styled as aquarium selling fish as pets !! 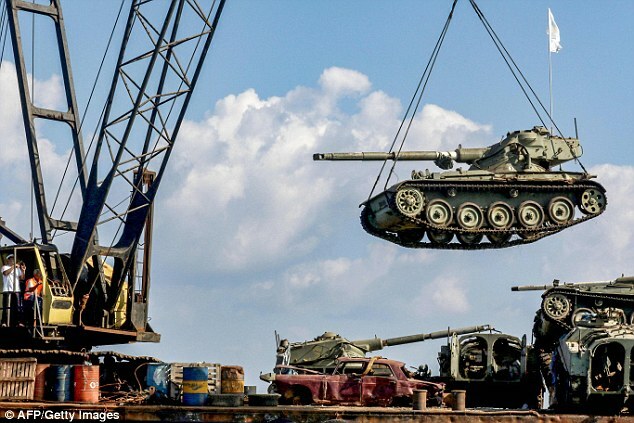 – it is the armoured vehicles being dumped into Mediterranean – sounds strange ! Mailonline reports that in Lebanon, conservationists are dumping tanks in the sea to create an artificial reef that will help marine life the thrive. Military vehicles are among those being set in the Mediterranean Sea off the coast of Lebanon, where vans and buses have also been put under water. Environmentalists sink them in order for algae, coral and bacteria to flourish with the aim of attracting egg-laying fish. It is reported that these tanks are intentionally placed into the sea, in order to allow algae to flourish in the hope that it will restore natural marine life. 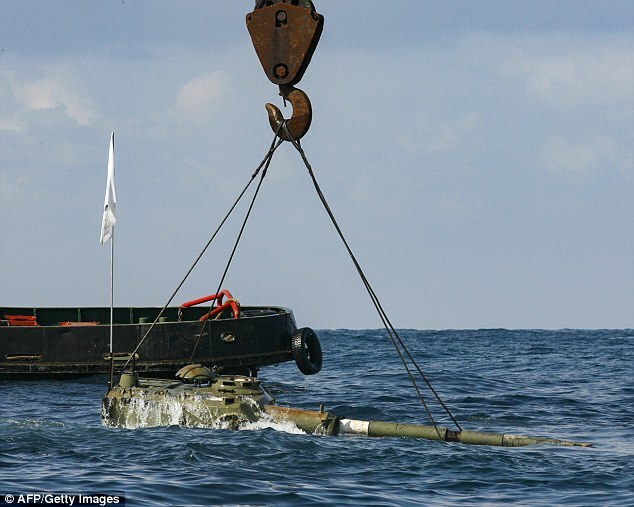 Tanks are being used alongside other vehicles and military scrap metal to create artificial reefs in the region – here is a photo of a floating crane lowering a tank into the sea off the coast of Lebanon, mirroring methods used near Tripoli. Scientists have been using vehicles to boost sea life in the region since 2012, when Dr Michel Chalhoub from Beirut secured funding to restore beauty to the coast of Tripoli. Barges and cranes are lowered into the water by cranes. Vehicles are typically placed between 70 and 100 metres from one another. Activists drop the vehicles about 12km off the coast, sometimes joining them two-by-two, Green Prophet reports. Disused Army steel beds as well as marine carriers and natural rock are also dumped. Once the tank is below the surface, algae will build, attracting egg-laying fish to the region following recent destruction - thus decay in marine life is combated by vehicles lowered into the sea. The scientists have also been known to place concrete inside the vans as well as usual natural rock in the artificial reef. Developers Nakheel pledged to build hundreds of the reefs off the Gulf Coast to restore water life. Rising temperatures, acidification and over-fishing are chief among the causes of the region's environmental decay. ~ not sure how tanks could improve natural marine life – however, it makes an interesting read !